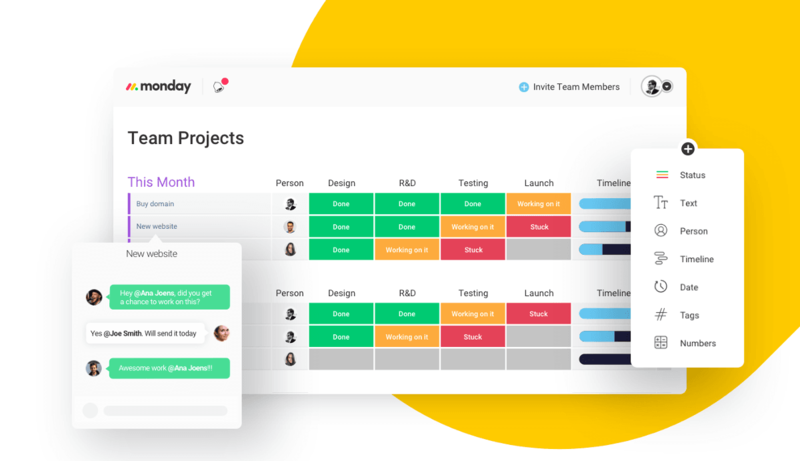 We all know how frustrating it can be when project deadlines are looming, but you can’t get down to work because your calendar is jam-packed with too many meetings. Add to this all the time you spend sifting through old email threads to find information you need and toggling from one app to another as you schedule tasks and communicate with other team members. How in the world are you supposed to get anything done? Before you click “Yes” on yet another meeting invite, spend a few minutes (precious, we know, but it’s worth it) checking out what monday.com has to offer. 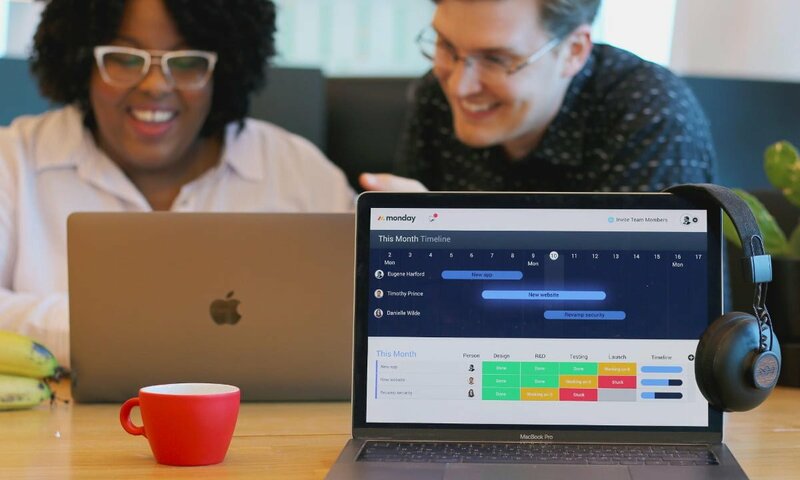 It’s a highly visual, invaluable team management tool designed to simplify, streamline and most important, improve your company’s collaboration process — no extra meetings required. And right now you can get a 2-week free trial to see if it’s a good solution for you. Of course, there are countless workplace collaboration tools, so why should you give monday.com a try? Well, for one, it’s already being used by more than 35,000 teams, from startups to Fortune 500 companies, including Adidas, Samsung, Uber, Discovery Channel and McDonald’s. Plus, it’s the only tool that can accomodate YOUR team’s unique needs, allowing you to build your own tracking and collaboration processes and integrate with other tools. Centralized hub. Monday.com consolidates all project milestones, tasks, communication and files for each project, making it easy to manage every stage without having to waste time switching from one app to another. You can add team members, assign tasks, upload documents and videos and track progress all from within the platform. In-app communication. One of the best things about monday.com: You can send messages, notifications, status updates and other communications to team members — this is particularly helpful for remote team members — inside of tasks, eliminating endless back-and-forth email chains and… wait for it… unnecessary meetings! Transparency. With monday.com, all information pertaining to a project — for example, data, plans, challenges, performance — is visible, clear and readily accessible to both employees and managers. When team members have all the information they need at their fingertips, they can spend less time guessing what needs to be done and more time working smarter and faster while making less mistakes. A culture of accountability. With monday.com, it’s easier than ever to see who’s responsible for what, helping you to hold each other accountable for performance. Now, missing a deadline has even higher stakes than before — everyone can see it! On the flipside, monday.com helps to highlight and reward individual contributions, which can be extremely motivating, particularly for those employees with a competitive streak. If monday.com sounds like something that could be a game-changer for your team, try it free for two weeks. And if you think your team members might need some convincing to give it a go, share this article with them so you don’t have to have a meeting about it.